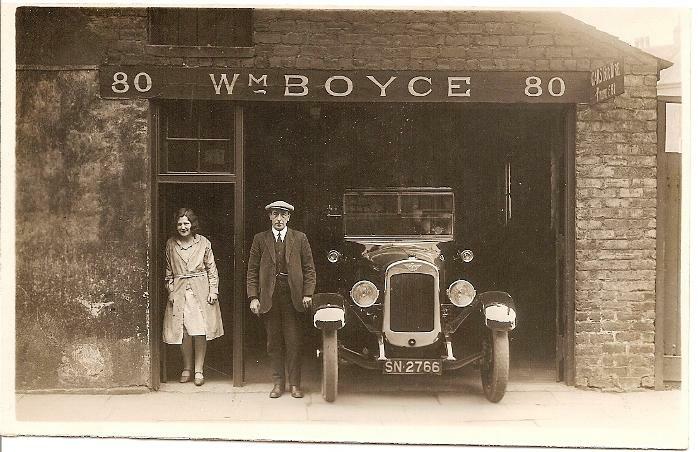 A retired couple in Greenock whose piano I was tuning some years ago asked: Are you related to the Boyce who had a taxi business in Roxburgh Street ? Indeed yes, I explained. Bill Boyce was my grandfather's brother. Therefore, my great-uncle. I never knew him as he died before I was born. 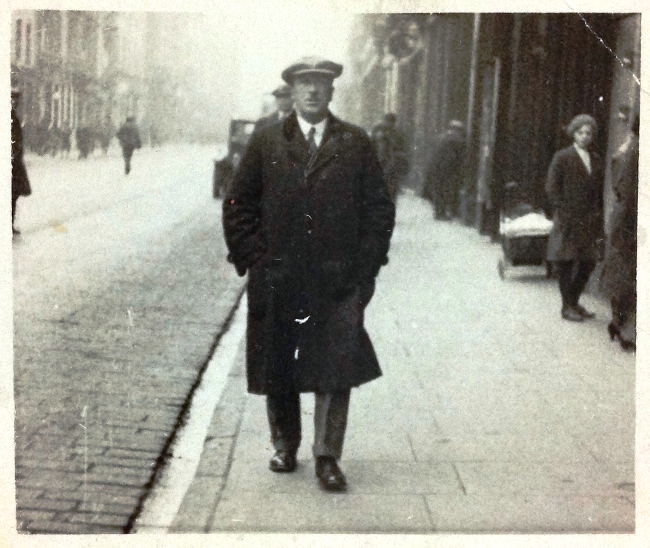 Here is a photograph of the business at 80 Roxburgh Street. Perhaps this is the only such photo that exists. The office assistant looks amused at having her picture taken! 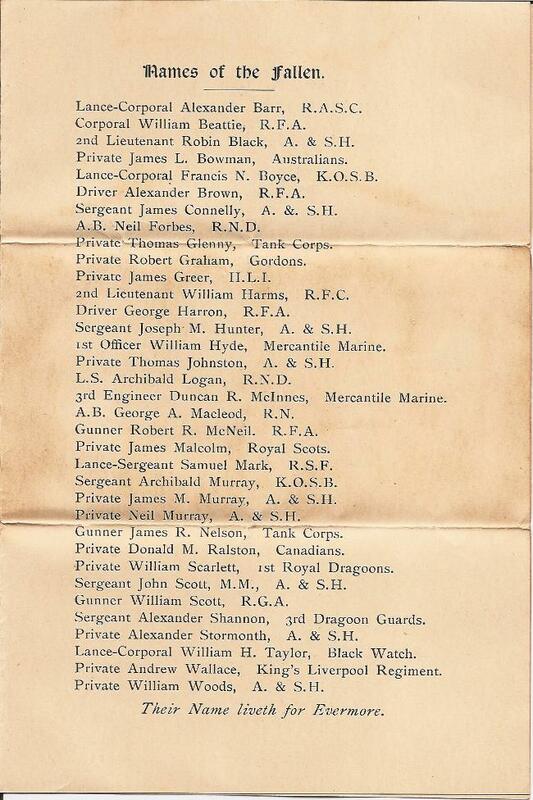 BOYCE Alexander, marine engineer, 54 Union St.
Boyce Hugh, joiner, 51 Bannockburn St.
Boyce Michael, labourer, 16 Port-Glasgow Rd. 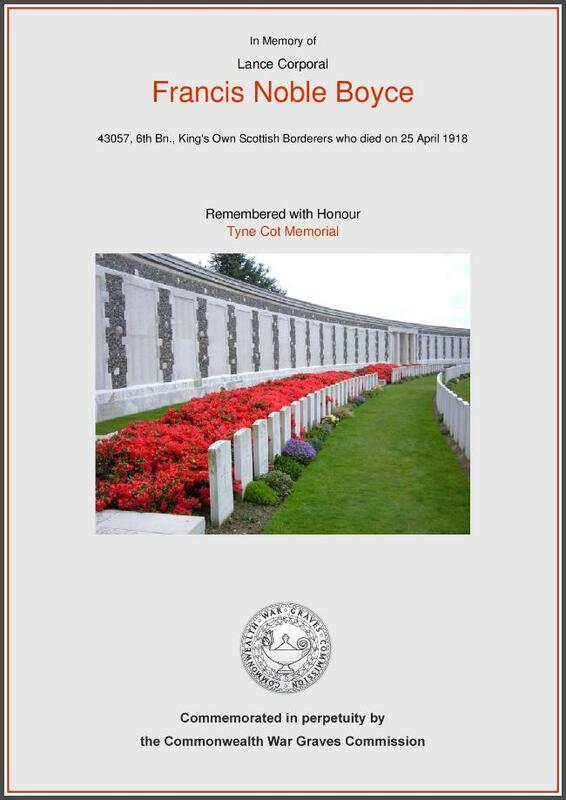 Boyce Thomas, plater, 52 Bannockburn St.
Boyce William, taxi-hirer, 80 Roxburgh St.
Boyce Mrs Sarah, 66 Holmscroft St.
Boyce Mrs Hannah, 5 Bruce St. This page is not about pianos, folks! So I thought there might be some interest in some other local old photos and ephemera, in the family's possession for a century. 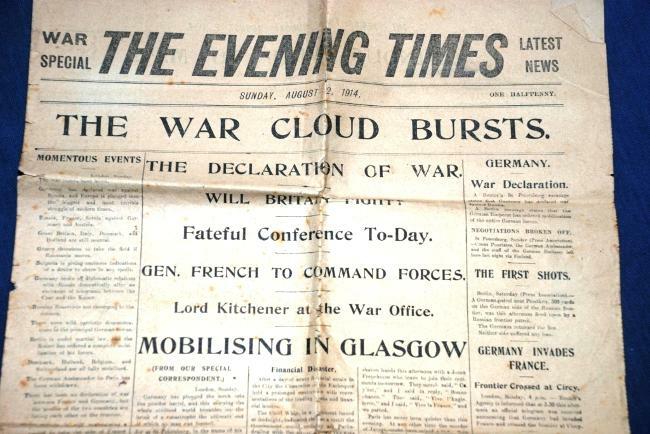 The First World War or The Great War. 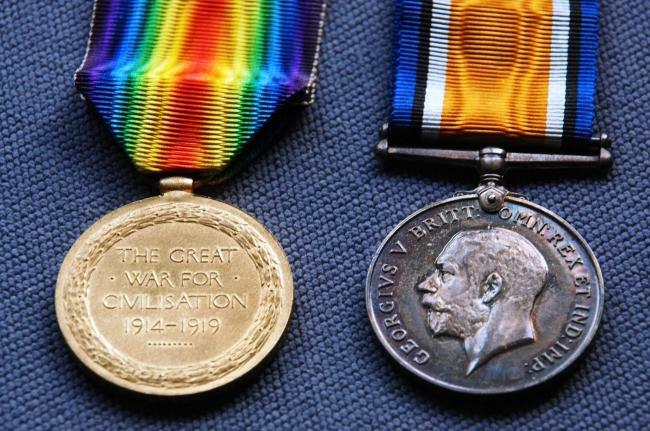 The "war for civilisation" as the medals put it. With 2014 marking the centenary of the outbreak of that global conflict, 2018 being the centenary of its ending, historical attention has focussed anew on how it shaped the world. 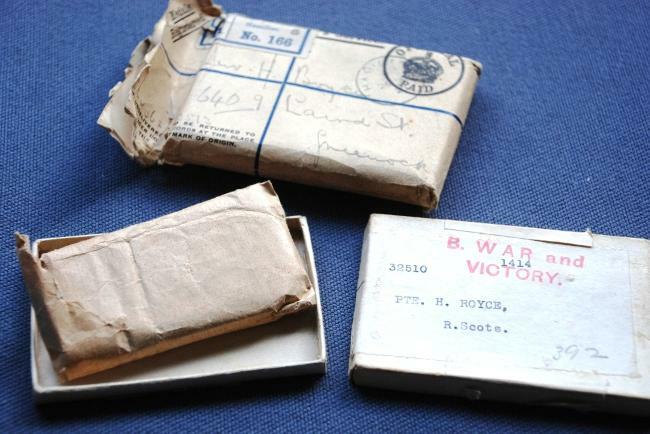 Many documentaries have examined the Great War and its impact. 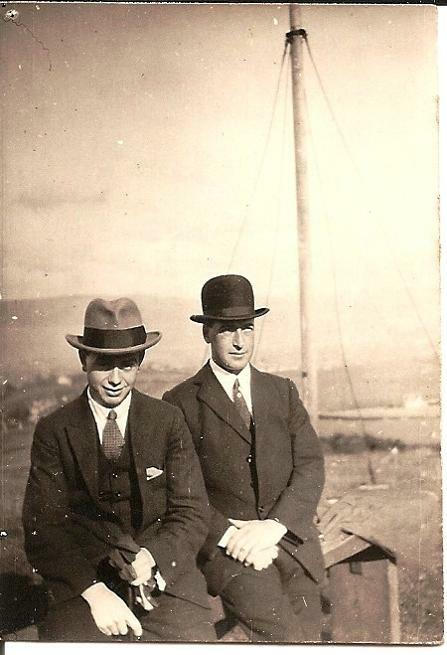 Bill Boyce's younger brother Hugh was my grandfather. 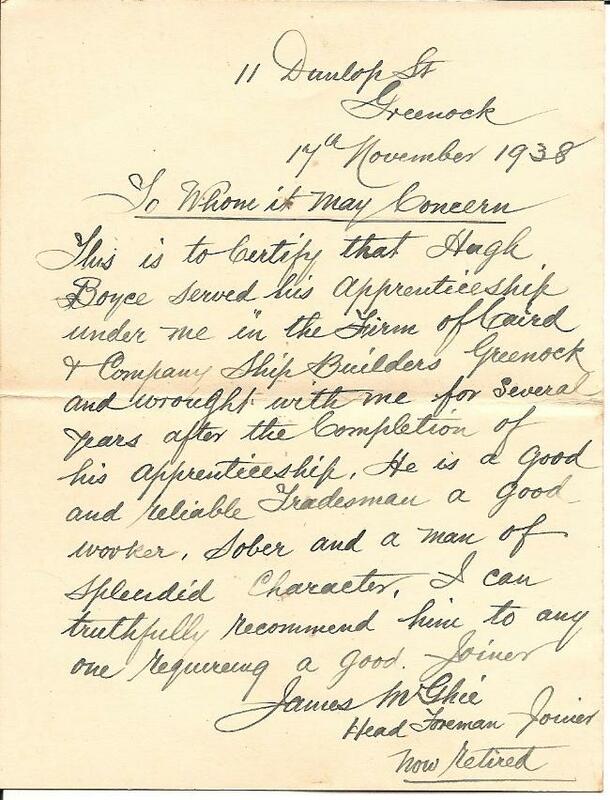 He served a joinery apprenticeship with Greenock firm Cairds. 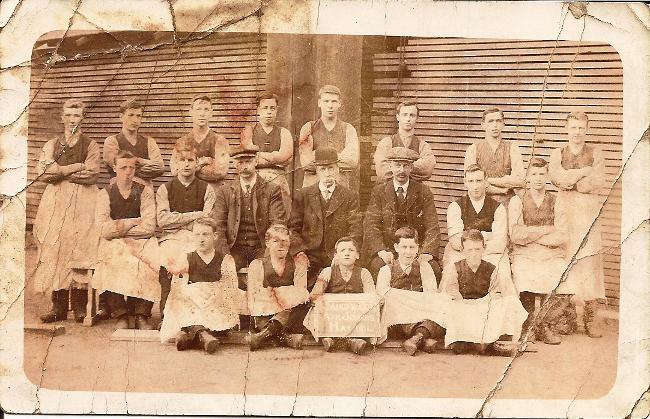 He is second from the left in the back row of this 1911 photograph of the apprentices. 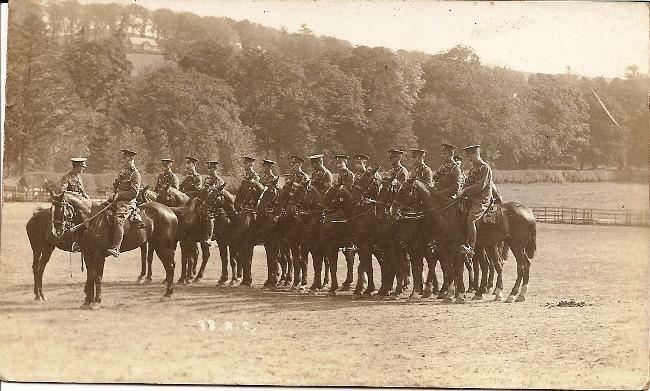 The role of enormous numbers of horses used in the Great War has lately received renewed attention and there has been the very successful and acclaimed theatre production called War Horse based on the 1982 novel of Michael Morpurgo, source also of the 2011 film by Stephen Spielberg. Below shows the reverse of the above photo has this explanation. 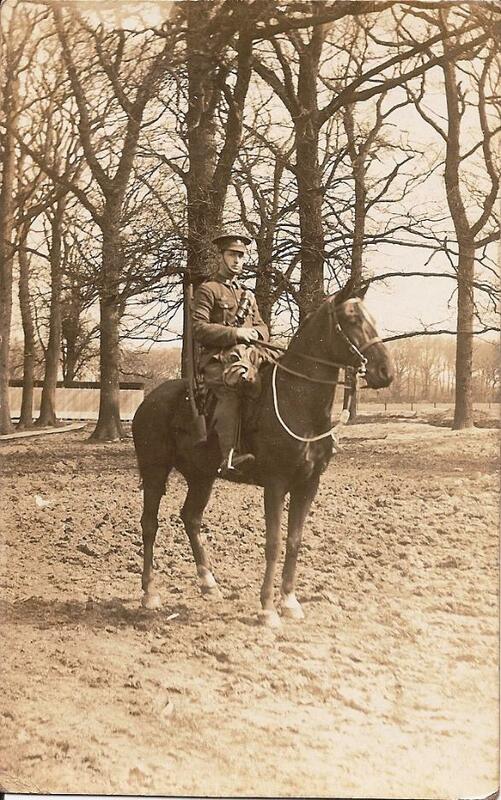 Hugh served in Salonica (Thessalonica) as a farrier - working with war horses. 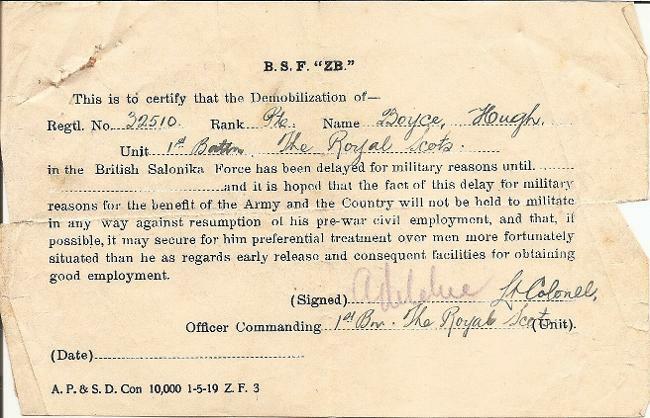 Bill and Hugh Boyce survived the Great War. Bill's health was damaged and he died in 1953 without having married. 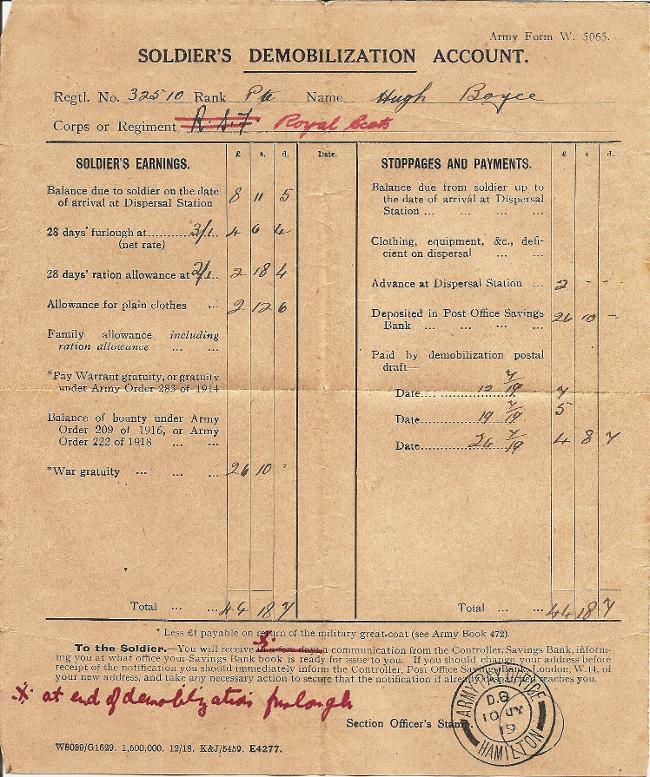 Frank's war record indicates that he served in B Company of the 6th brigade of the Kings own Scottish Borderers as a Lance-Corporal. He was also a drummer in this regiment. His service number was 43057. During the latter part of the war, General Haig was looking for more recruits to bolster defences against the German "Georgette" operation which was the final attempt by the Germans to gain ground around the town of Ypres . Kemmel ridge was one of the most important locations in this area and this is where Frank's Battalion was stationed on the 25th of April 1918 . German bombardment of Allied gun emplacements lasted for two days before they attacked. 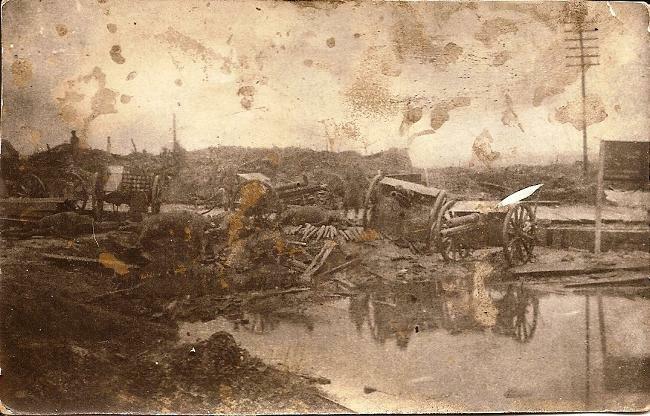 There was fierce hand-to-hand fighting with all of Frank's battalion either killed or taken prisoner. After the battle Frank was declared Missing in Action. This information was passed to his family who then contacted the Red Cross Information Society to see if he had been taken prisoner . Unfortunately the Information Society could not find any record of him. Frank is memorialised at the Tyne Cot Cemetery in West Vlaanderen, Belgium on panels 66-68. This memorial commemorates the soldiers with no known grave and the bodies of soldiers as yet unidentified. There are over 20,000 names carved on Portland stone panels to commemorate soldiers Missing in Action .Frank's inscription reads "Francis Noble Boyce Lance-Corporal Kings own Scottish Borderers killed in action 25th April 1918 age unknown ". Frank is commemorated on the Glasgow Art School Roll of Honour and on a bronze plaque now in the Wellpark Mid Kirk in Greenock . To add injury to injury, towards the end of the war a huge and deadly influenza epidemic developed across the world, and doubtless troop movements were a contributing factor in the spread. In recent years the magnitude of the pandemic has been re-examined. The causal agent is now established to have been an H1N1 virus like those that have more lately been of concern with Swine Flu. The number of military and civilian deaths in World War One has been estimated at around 17 million over the four years of the War. The Influenza epidemic starting in 1918 killed somewhere between 50 and 100 million, in a much shorter period. As one scientist commented on BBC Radio 4, mankind's efforts at destruction were relatively inefficient compared with nature. The name Spanish 'Flu came about because Spain was neutral during the war and therefore gave more accurate reports of the numbers dying of this disease. Other countries, heavily involved in the war, were more guarded about revealing the number of 'flu casualties. Because of this difference in reporting, it looked as if greater numbers were dying in Spain than elsewhere and the name Spanish 'Flu stuck. A fascinating and horrible aspect of the illness was that of those contracting it, the death toll was greatest among strong young adults, rather than among the elderly and frail or the very young, who might have been expected to be more susceptible. The reason for this has been established in recent times. The H1N1 virus triggered a very strong immune response, resulting in what is called a cytokine storm. Young healthy adults with immune systems at their peak experienced the worst of this and the very strong inflammatory responses took a much greater toll on the body's organs than was the case with the weaker immune responses of the elderly or feeble. There is an excellent up-to-date (17th October 2018 ) article The Flu That Transformed the 20th Century by Laura Spinney on the BBC website. Do click on the link for the latest scientific and social understanding of this epidemic. See bottom of this page for a 2017 discovery regarding Francis Noble Boyce. 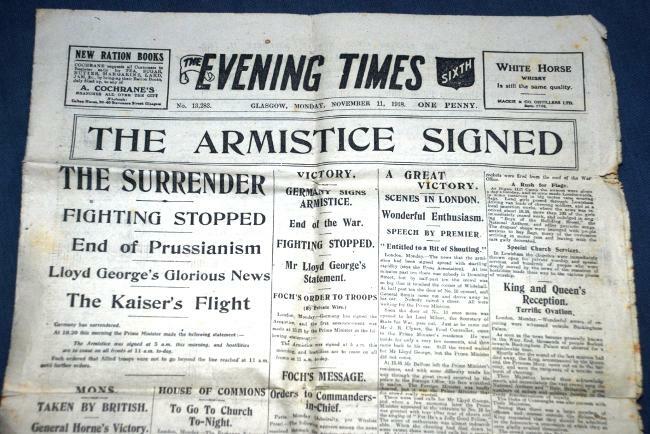 Finally in 1918 the Great War came to an end, leaving a traumatised world and a changed world order. Bill, Hugh and Francis had a sister, my great-aunt Lizzie,1889-1970s, and another brother, Thomas,1887-1942. Lizzie was the only one to survive into my lifetime. All of great-granny's sons predeceased her. Before the war, Francis studied at the famous Glasgow School of Art. I have somewhere a card displaying the colour palette they used in 1911. Perhaps Francis' art genes came down to my cousin Iain, who also studied art. Francis was enrolled there 1913-1916, receiving a Bursary of £12. Francis Noble Boyce is commemorated on the Glasgow School of Art Roll of Honour. I have an image of it, but cannot reproduce it here for copyright reasons. 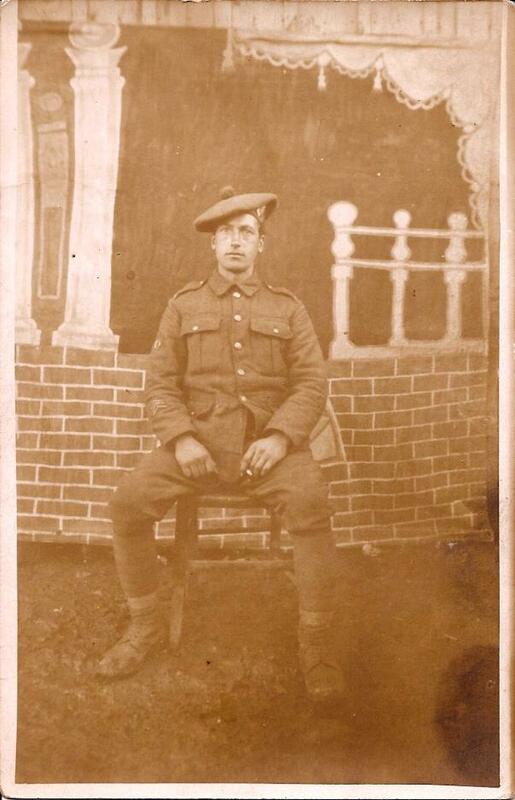 Thomas was a private in the Argyll and Sutherland Highlanders. 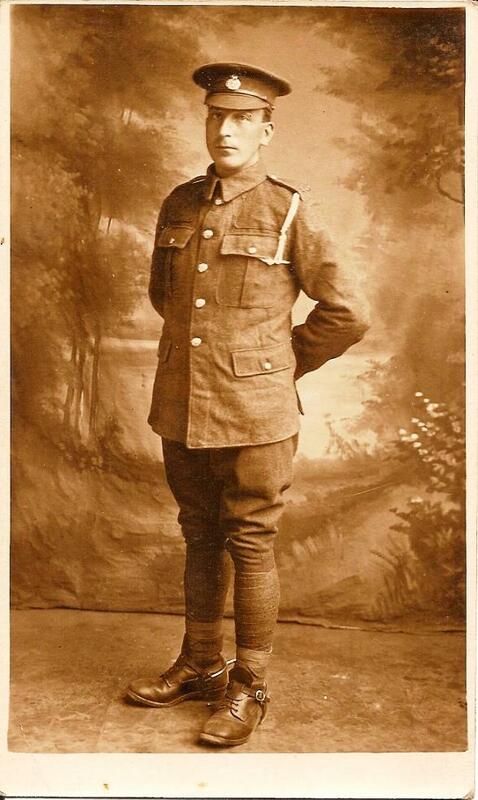 He was shot in the legs during the Battle of Ancre (15th November 1916). 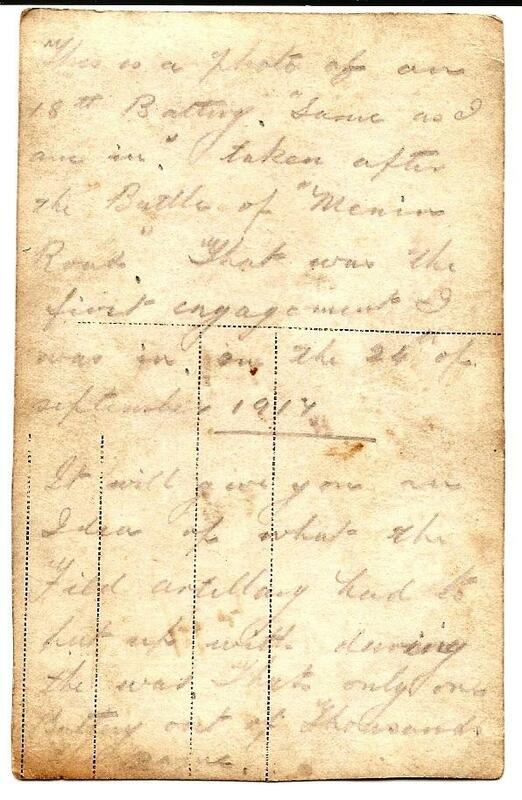 This was the last major British engagement in the Battle of the Somme. During his convalescence in England he met the woman who became my Grandmother. She was working as a voluntary nurse. Her name was Hilda McCulloch and she had German ancestry as her name might suggest. Thomas did not return to the war due to his injuries, but continued to correspond with Hilda, and they married in the 1920's. Thomas and Hilda had two children, Thomas and Marion May. On the typed label and on the edge of the medal, there appears to be an error. My grandfather's surname name is given as Royce. I never noticed this until taking the photographs for this page. Back in civilian life, here's a photo of Hugh in his 'Sunday Best. 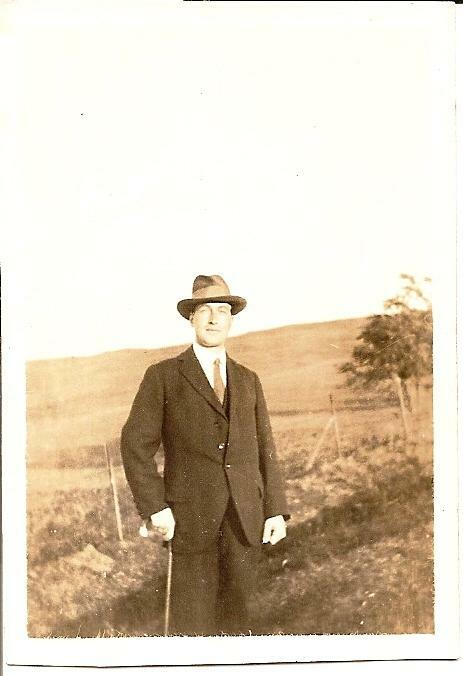 The walking stick was his father's - my namesake, David Boyce, with his initials on the silver ferrule - and I have it. Far too short for me though, even if I needed a walking stick! And out for a walk with a friend. I want hats like these! 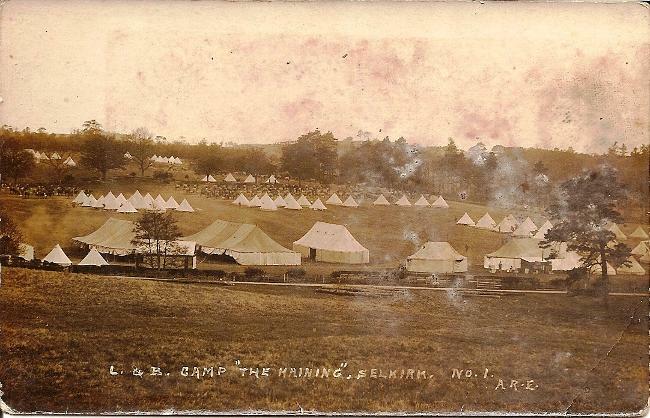 I think the dudes are on Lyle Hill, or maybe in Auchmountain Glen, but I'm not certain. Hugh died in 1954. His mother, my great-granny, outlived all but one of her children; her daughter Eliza (Lizzie). Lizzie married Victor Parsons, a Naval Officer, and they moved to Devon. 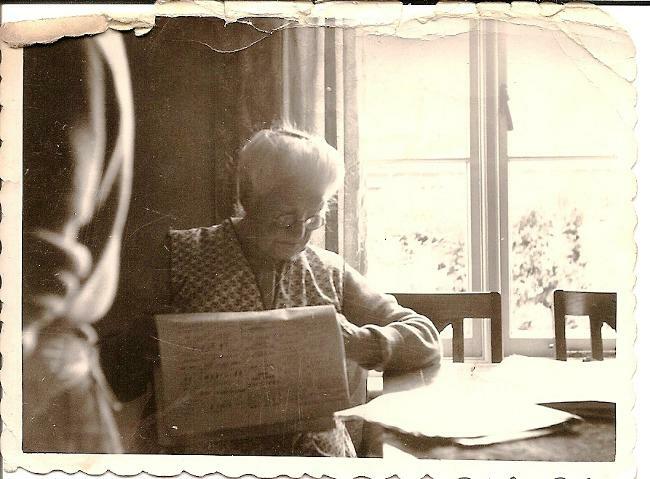 In the early 1950s great-granny went to live with Lizzie and Victor, I think at the home of Victor's mother. Hugh's parents, David and Mary Boyce (née Finlay) came from Northern Ireland. Born in the mid 1850s, Mary lived into her hundreth year. When she was 9 years old, the Laird visited her parents' home and asked how old Mary was now. When he was told, he said "Well, I think Mary's been at the school long enough. She can leave and go into service now". And since the Laird provided the schooling, that was it! Mary duly went into domestic service aged nine. 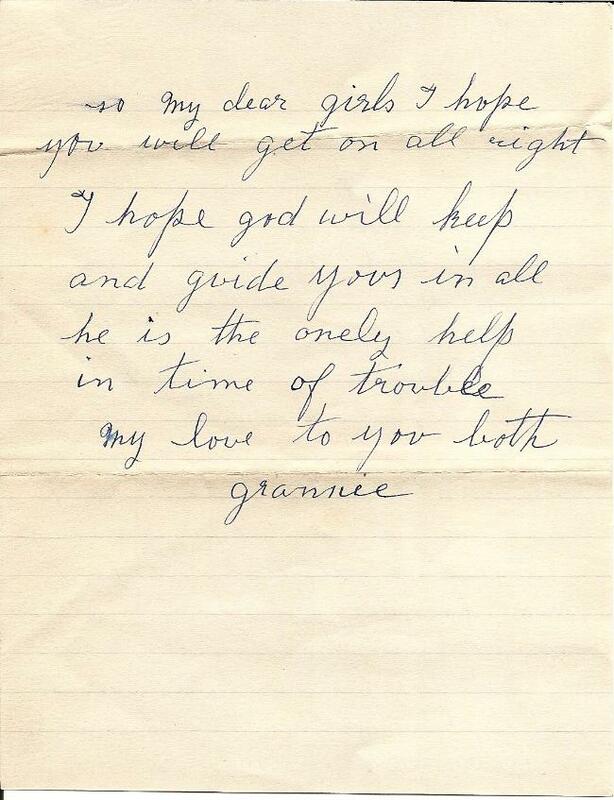 As a result, great-granny did not have a high degree of literacy. 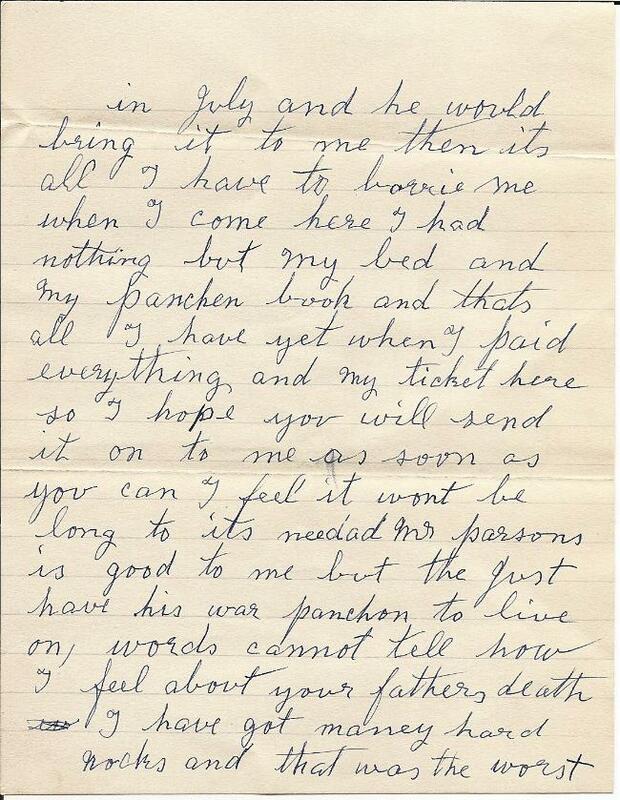 Here is a letter she wrote to Hugh's two daughters after his death. She had poor eyesight and failing health too, by this time. 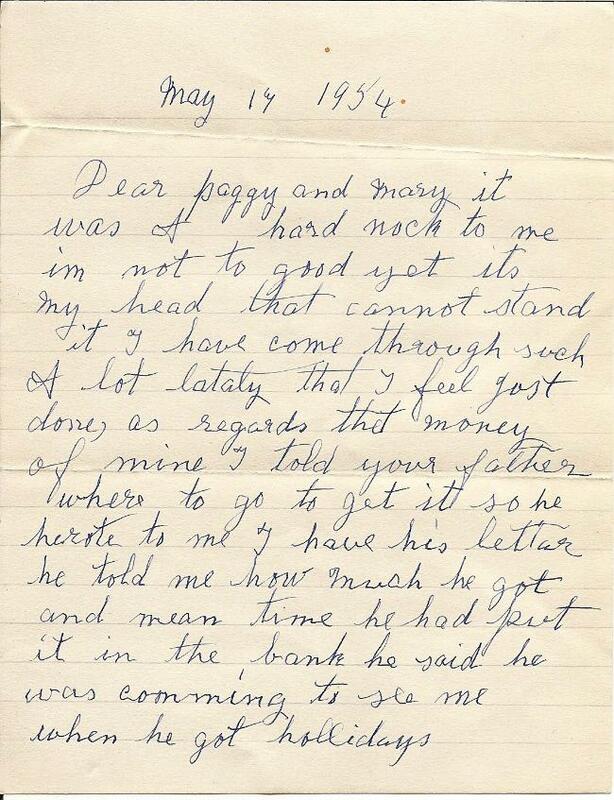 The reference to getting her money from a Greenock bank account (which my mother sent to her) makes one reflect that banking wasn't as easy back then - no electronic transfers in 1954! I hope these old photos and documents are of interest. Black and white silver bromide photographs were a robust and durable technology. Today, an astonishing number of images are generated each day on digital devices. I heard an amazing statistic; that every day, more photos are uploaded to Facebook than existed for the first hundred and fifty years of photography (and every nine days more video footage is uploaded to Youtube than the BBC has broadcast in its entire history). It's easier then ever before to make photographic images. But perhaps too, they are more transient than ever before. Hundred-year-old photos in family albums, with captions written in pencil, are still readily accessible. But what if you find a Jazz drive or other outdated computer storage medium from the early 1990s. How will you get the images off it? 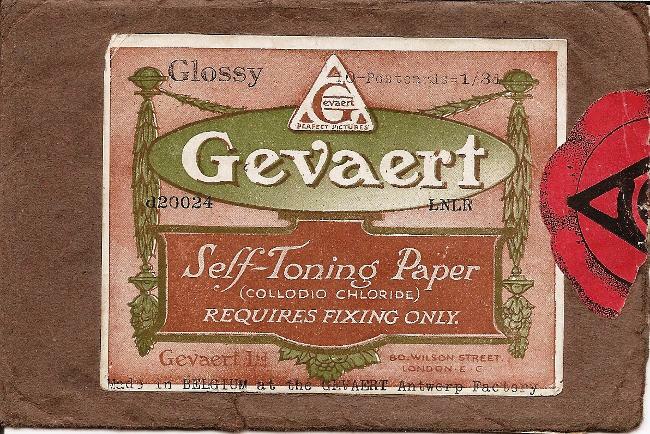 And here is an image of an old packet of photographic paper in which some of the photos I've shown here are stored. The package design is attractive, and I am reproducing this for my graphics, photo and media buddies, Jane, Mazda, Martin, Dave, Campbell, Gary, Stoo, Neil, Dorothy. Missin' y'all! 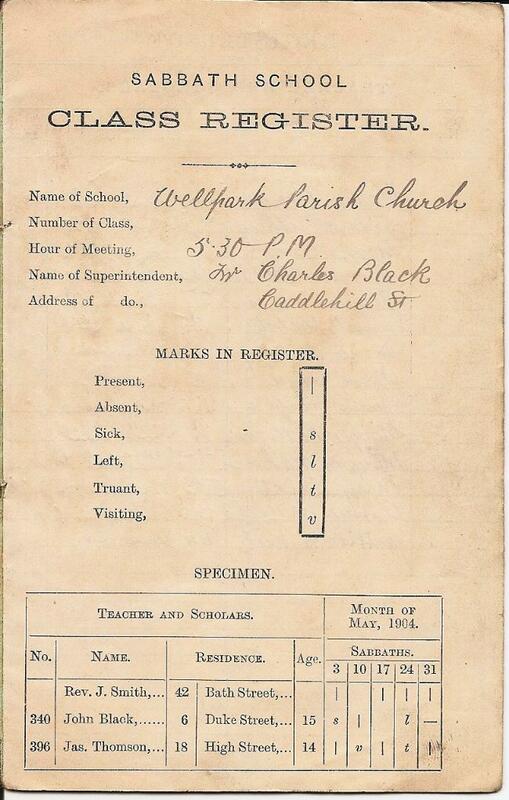 A bit of a mystery: Here is a Wellpark Parish Church Sunday School register from 1906. I don't know why my grandparents would have had this. 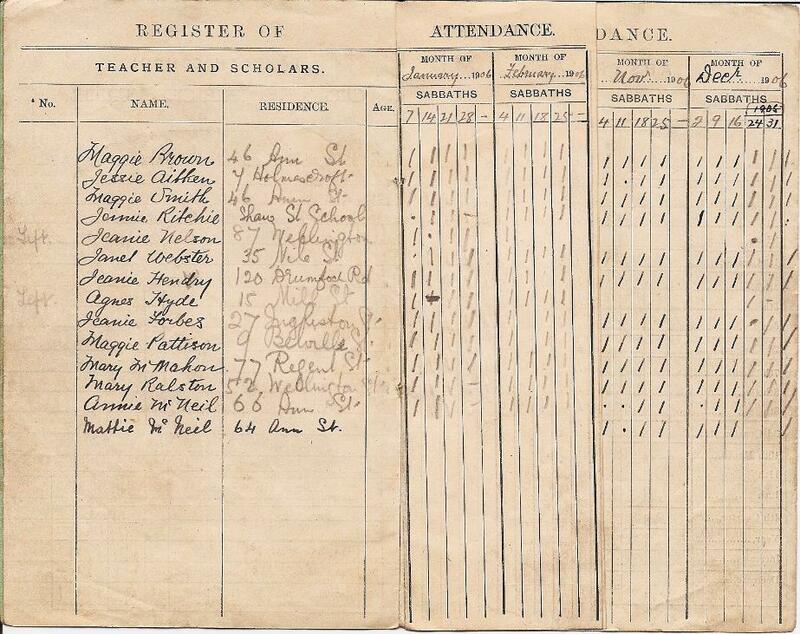 In 1906 they were both children and could have been Sunday School pupils, but neither Hugh nor Alexandrina is on this register. 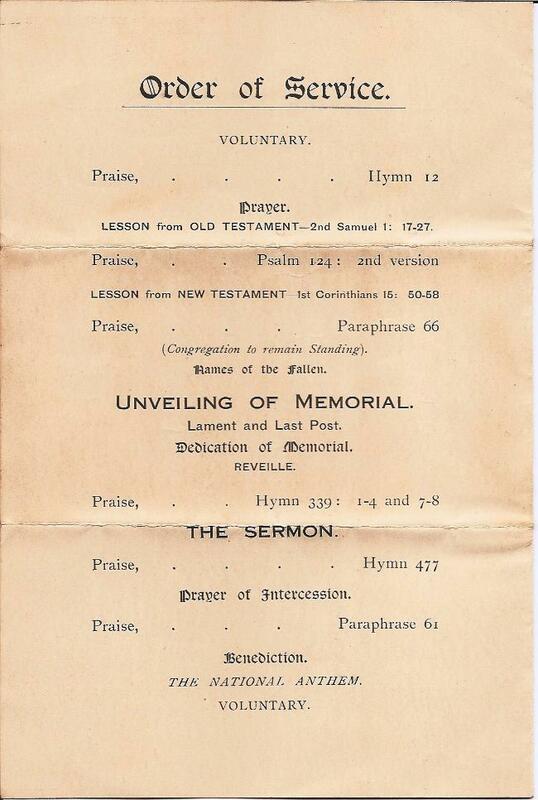 Maybe it was among old records given to Alexandrina when she taught Sunday School as a young woman. 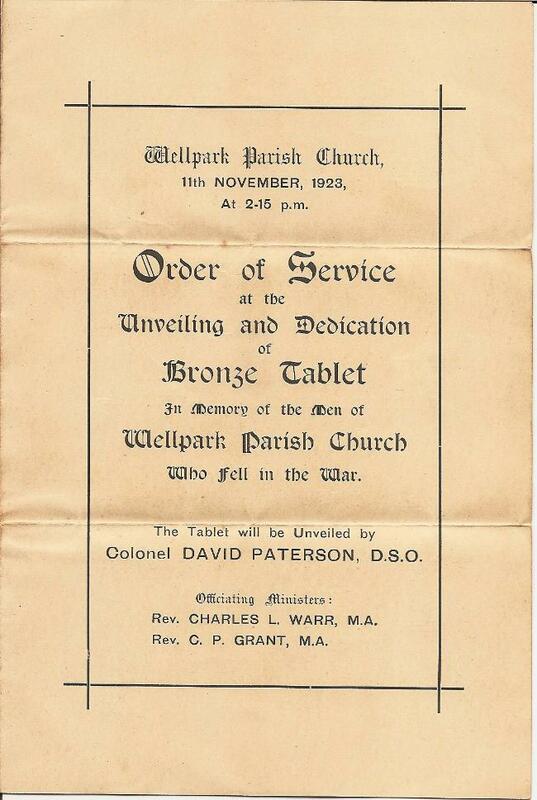 By then the church was called Wellpark West. At any rate, in case it is of interest to anyone, here it is. Here are two of Francis Noble Boyce's paintbrushes, in my possession. These are, obviously, more than a century old. I also had two of Francis' set squares, with FNB written on them. 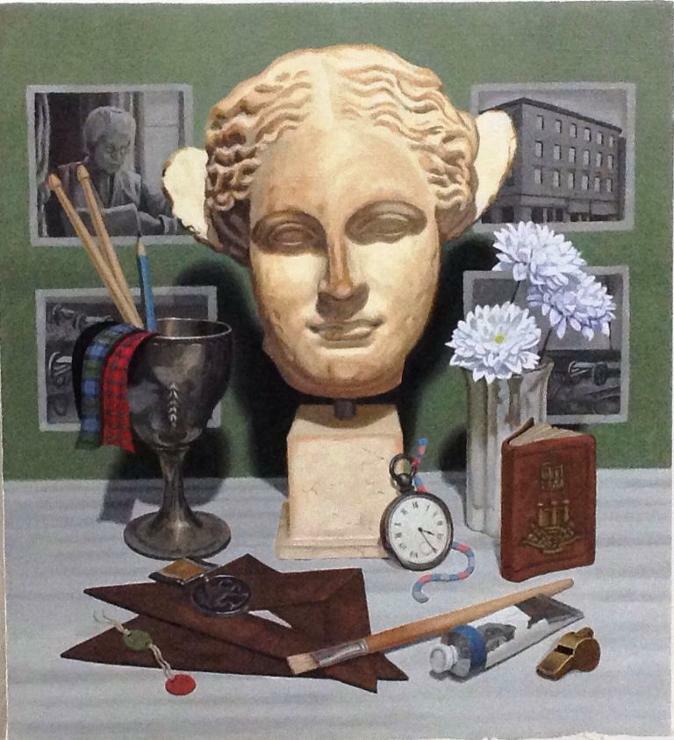 I gave them to my cousin Ian, and he has incorporated them into the foreground of a superb painting he recently completed, depicting events from Francis' life. You may spot Ian's reproduction in the painting of the photo of our great-granny shown further up this page. 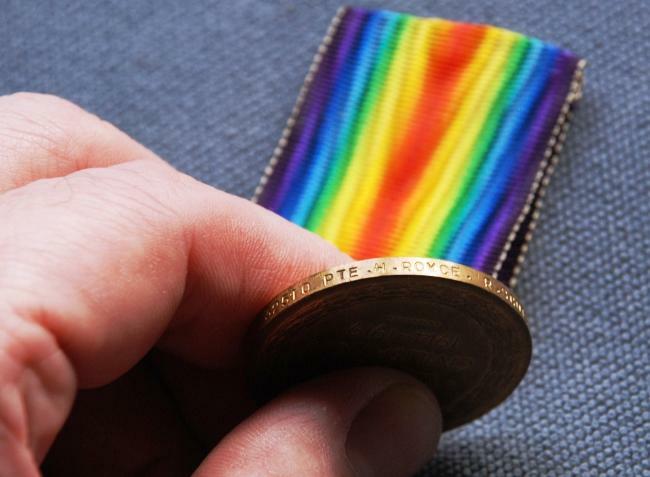 Scarcely a family escaped some loss in The Great War. 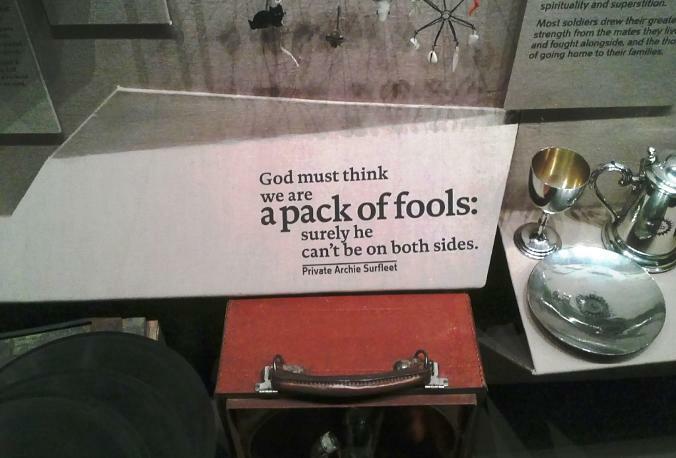 The extensive and fascinating display material in The Imperial War Museum, London, points out that at times, the conflict was termed the Family War, because King George V, Kaiser Wilhelm II, and Czar Nicholas were all first cousins, grandsons of Queen Victoria. See this interesting BBC article by Theo Aronson. (The titles Kaiser and Czar each being derived from the Latin 'Ceasar'). Many readers will recall studying Dulce et Decorum Est by Wilfred Owen for English lessons in school. It was in the syllabus when I was in high school and it's still there today. Owen 'dedicated' that poem to an English poet at home called Jessie Pope, who wrote jingoistic poetry to call young men to arms. Stuff like this, from her poem Who's For the Game? The vocabulary and imagery of Dulce et Decorum Est (structurally a double sonnet) are all the more powerful, I think, when you consider Owen's deliberate intent in addressing Jessie Pope's work. And each slow dusk, a drawing-down of blinds. In Sassoon's original handwritten draft, did for them both in the last line is murdered them both, perhaps a more powerful indicator of Sassoon's strength of feeling. The churches assumed a unity of purpose hitherto unknown in religious annals. . . . The leaders lost no time in getting thoroughly organized on a war-time basis. Within twenty-four hours after the declaration of war, the Federal Council of the Churches of Christ in America laid plans for the fullest cooperation. . . . The Roman Catholic Church, organized for similar service under the National Catholic War Council, directed by fourteen archbishops and with Cardinal Gibbons as president, demonstrated an equal devotion to the cause. . . . Many of the churches went much further than they were asked. They became recruiting stations for the enlistment of troops. My photo taken and reproduced under the terms of the IWM Non Commercial License. 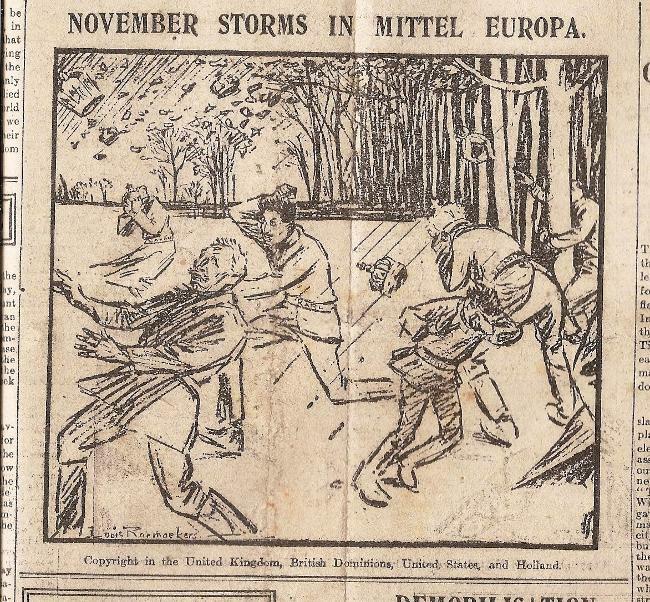 This page is really about some family history, so I can't drag it too far into general historical matters, though I have admittedly digressed somewhat into Spanish Flu and other aspects of the time. There are of course excellent resources online for those interested in the period. As a footnote, it is worth mentioning that on both sides there were conscientious objectors who would not participate in the war, such as The Richmond Sixteen in England whose story is told on this English Heritage site and on Wikipedia. There is some information on the situation in Germany here. 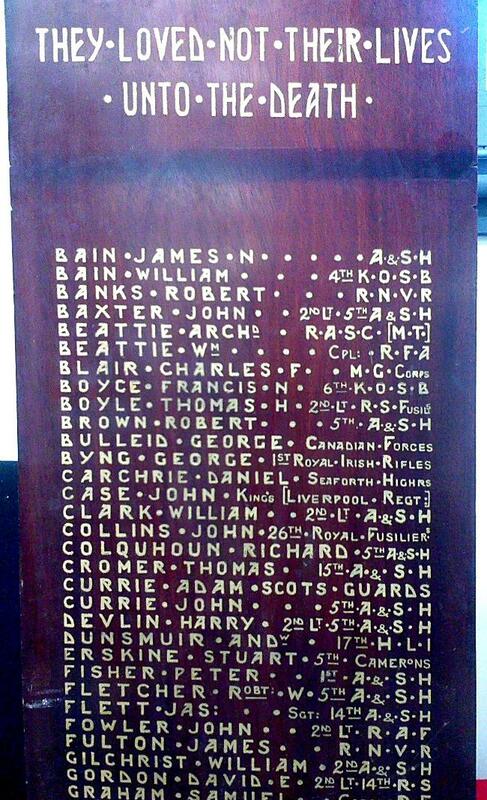 24th October 2018: A moving event took place this evening at Inverclyde Academy, to unveil the restored Roll of Honour board. The restoration work has been carried out beautifully by school staff without cost. Pupils presented information on several of the 'fallen' whose local families had been traced. Francis Noble Boyce was among those. The event was a touching reminder of the scale of the losses in that conflict - there was hardly a family left unaffected by loss. Pupils and staff deserve much credit for the preparation and delivery of this interesting event.